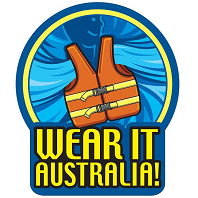 Dog Life Jackets | WEAR IT AUSTRALIA! If I can wear it – Why can’t you! Don’t forget your pet’s safety when you go out on the water. We recently met “Flossie” – a seven year old Springer Spaniel – enjoying a canoeing holiday along the Great Glen Canoe Trail in the Scottish Highlands with her Mum Fiona. The Great Glen Canoe Trail stretches 95km from Inverness to Fort William along the Caledonian Canal and through Loch Ness and Loch Lochy. Have a look at www.greatglencanoetrail.info or www.explorehighland.com for details of this challenging adventure. Being a spaniel, Flossie loves the water and is a good swimmer but Fiona makes sure that she has extra buoyancy and visibility if, or more likely, when she goes into the water. 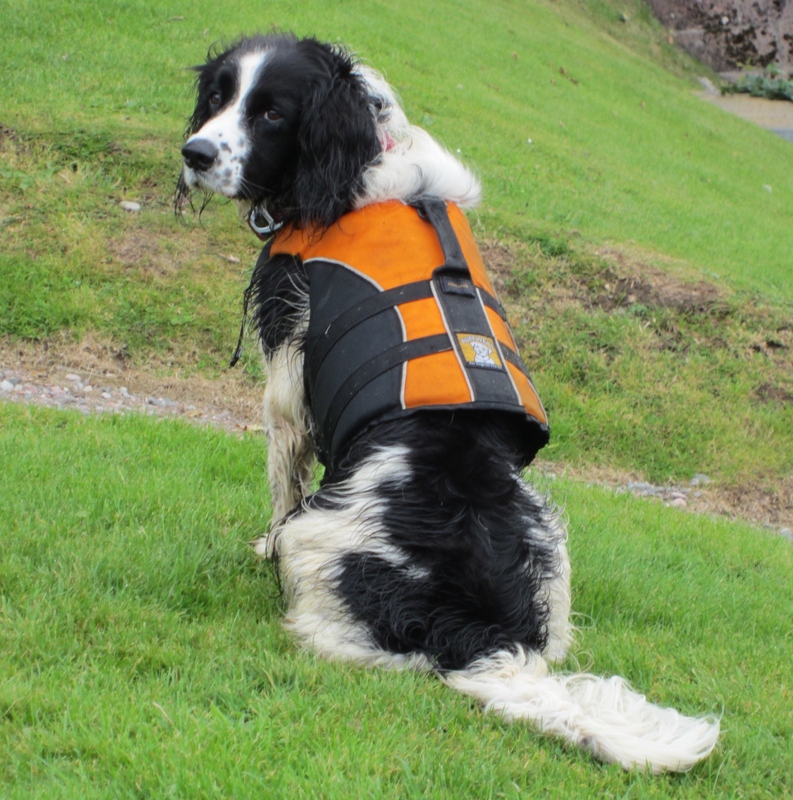 In the photo, Flossie is wearing a basic black jacket with a bright yellow/orange back panel from Ruffwear (www.ruffwear.com) – “For Dogs on the Go” – complete with a handle capable of lifting her substantial 20kg body out of the water with relative ease. Doggy buoyancy jackets come in many brands, designs and sizes (XXS – XL). They give your pet extra warmth on deck as well as safety in the water and dogs seem to love wearing them. 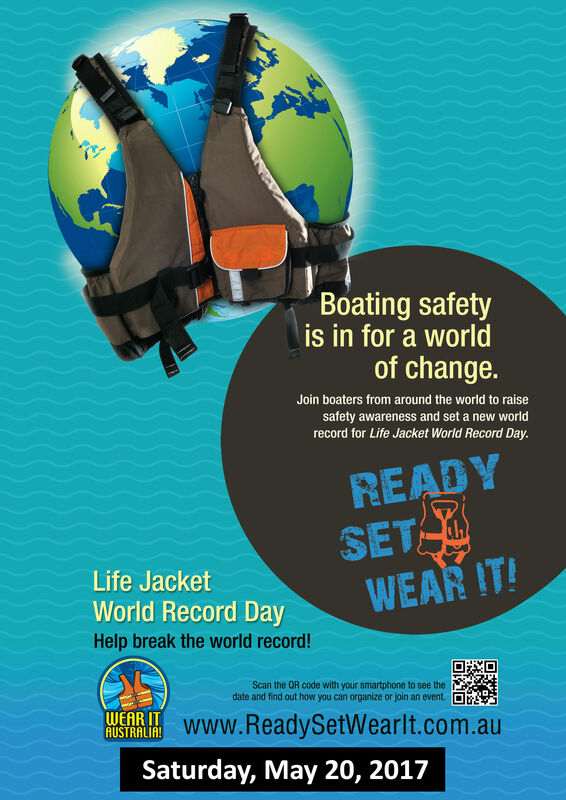 Prepare to invest between $30 and $100 on your sea-dog or ship’s cat’s safety on the water with a quality lifejacket. That’s so true! And the handle is so useful for the human slaves paddling the dog faring kayaks to hoist the Captain back on board when she has finished chasing ducks! Dog lovers like me must be so thankful for the modern world today that gives more emphasis and importance on dog’s safety. It is very unfortunate that some people think it is absurd to dress up our dogs. Truth is they too need to be safe and comfortable with proper clothing to protect them from harm and harsh weather conditions. It is not just always for show but there are far more important reasons for doing so.